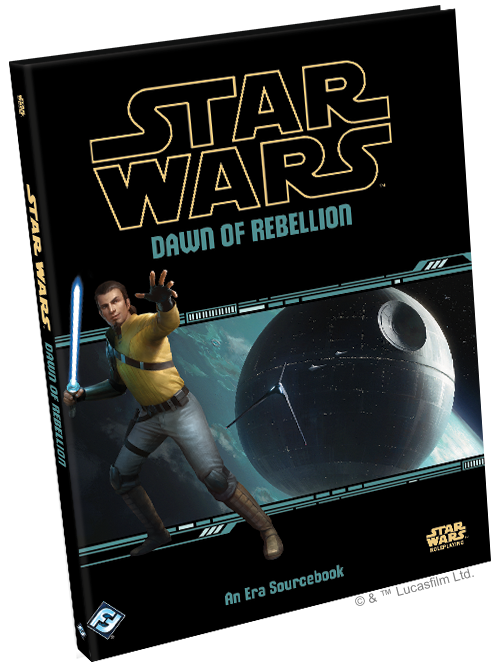 The recently released Dawn of Rebellion is the first Era Sourcebook for the Fantasy Flight Games Star Wars RPG line. Unlike previous books, this is the first to bridge all three lines of Edge of the Empire, Age of Rebellion, and Force and Destiny. This comes out just as the Rebels TV show is coming to an end. For fans of both the Rebels animated series and the Rogue One movie, this book is full of stats for both characters and vehicles seen in each. This book is a bit thicker than most specialization books, but about on par with Lords of Nal Hutta and Suns of Fortune weighing in at 144 pages. There are four chapters broken down into Worlds in Revolt, Organizations, Player Options and Game Master Support. 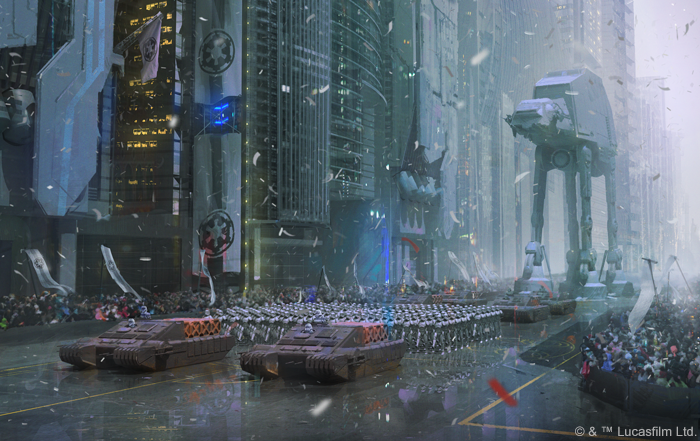 Worlds in Revolt features several systems that play an important role in the era including Alderaan, Atollon, Dathomir, The Death Star, Jedha, Lothal, and smaller sections on other places just called Other Worlds. Each system has the familiar fact sheet and picture of the planet featured in other releases, followed by a longer description of points of interest as well as key NPCs and a modular encounter that would work nicely as a mini-session in each system. Often RPG books can be broken down in a crunch:fluff ratio, meaning how much of the book is stats and numbers compared to flavor text that helps bring the world alive, without providing those numbers that mechanically affect the game. This book leans towards the fluff-heavy, but details a satisfying amount of gear, creatures, NPCs and vehicles to keep the crunch crowd happy. The organizations section in particular features a lot of information on the Empire, Rebellion and Independent Organizations like The Broken Horn Syndicate (Vizago’s smugglers from Rebels), The Free Ryloth Movement, and the Protectors of Concord Dawn. Each has a few key NPCs detailed and some background information. Each main character of the Rebels TV show is statted out, as well as Shore Troopers, Death Troopers, Agent Callus, the Inquisitors, Vader and Thrawn. From the Independent Organizations you get stats for Fenn Rau, Azmorigan, Hondo Ohnaka, Ketsu Onyo and Lando Calrissian (previously statted out in Jewel of Yavin). This section gives you plenty of key characters to interact with if you want to start a party that runs in parallel to the events of Rebels or Rogue One. This seems to fly in the face of the wisdom expressed in previous books about shying away from key figures, since it is a pretty big galaxy after all. I think it is pretty cool to provide the stats for folks, since people try and make them up in the FFG forums anyway, and can add some gravity to your session. Hopefully, Vader won’t cut through your party like he did those rebels at the end of Rogue One. The Player Options section introduces six new universal specializations that can be purchased for 10x the amount of specializations the PC currently has in XP. The book suggests this can add depth to a PCs past if chosen at the beginning of character creation, or could be a big reveal of a hidden past if chosen later. Either seems like a really compelling option to me, and I hope they come out with more of these in subsequent Era books. Those included in this are: Padawan Survivor (Kanan), Force Adherent (Chirrut), Imperial Academy Cadet (Han, Wedge, Sabine), Pirate (Hondo), Retired Clone Trooper (Rex), and Ship Captain (Hera). These trees include 4 bonus career skills (with the exception of Padawan which grants Force Rating 1 unless your PC already has it) and feature associated talents that can provide depth to your PC. 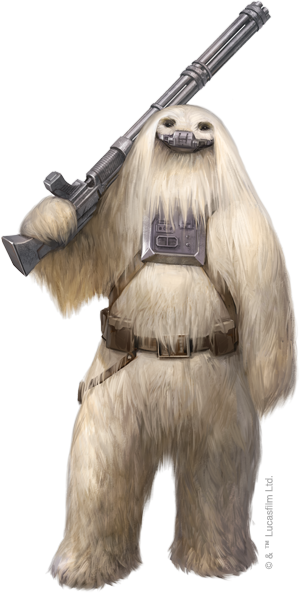 There are also four new species options from Rogue One: The loud-mouthed amphibian-like Dabatan, the Wookie/Wampa-like Gigorans, heavy-browed simian Iakaru (door gunner in the U-wing), and insecto-mammalian Tognaths (Saw’s lieutenant on Jedha). The weapons section includes stats for Chirrut’s lightbow, Baze’s repeating cannon, and the Shore Trooper’s E-22 (linked 1 heavy rifle), and Death Trooper variant E-11D and DLT-19D Heavy blaster rifles. The vehicles detailed include the AT-ACT, Occupier Assault Tank (Jedha), Delta-Class Shuttle (Krennic), TIE Striker and U-Wing. The U-Wing stats I found and used from FFG forums for my Rogue Two adventure were very close to the published stats. Also included are Arquittens-class Imperial cruiser and the hammer-head class corvettes use in Rebels and Rogue One, as well as the Ghost and both Phantom shuttles. There are also stats for the Death Star, which are so huge as to be nearly useless, but it does have a stat block. The GM Support section includes a really nice idea about crafting a campaign like a season of a TV show, and even provides a roadmap for primary and secondary plots focusing on different characters as well as an overall story arc. We are attempting to do much this same thing with our own gaming group while sharing GMing duties. We’ve each contributed NPCs and planted story seeds that other GMs can choose to advance or go in a different direction. We’re only about 3 sessions in, but so far it has been really rewarding to not only share the GMing duties and responsibilities, but build our own corner of the galaxy together. This section of the book provides the framework for either one GM to craft an entire season, or perhaps allow for a group to round-robin GM. This system has always provided a wealth of GMing resources and tips but this section of this book in particular goes above and beyond. It also discusses developing antagonists – villains that surpass a typical “big bad” at the end of an adventure and provide a long-lasting true nemesis. It also mentions antagonists don’t have to be evil to oppose the party such as Saw Gerrera, Fenn Rau and Cham Syndulla.The final part of the GM section deals with building a Rebel Cell campaign. This provides several ideas and seeds that can help groups write their own versions of Rebels or Rogue One. Overall, this book is a great resource for those of us that watch the new movies or TV shows and start statting things we see out in our heads. It provides a ton of background information on this particular era of Star Wars and will be a great book for both players and GMs alike. I hope this is just the beginning and FFG is able to release a Knights of the Old Republic, Clone Wars, and possibly Force Awakens era books as well. I’m running out of superlatives when it comes to DCC modules, but Harley keeps out-doing himself. This module weighs in at a monster 36 pages, and includes color photos from the tournaments at Gen Con in 2015 and 2016 that bore the same name. Enter the Dagon is much more than a typical DCC Tournament, it is an incredibly detailed 5th level adventure that centers around a spell duel tournament. Included are a page of streamlined spell duel rules that exclude some of the more fiddly bits from the DCC book like the momentum die, while maintaining cool elements like counter spells. It even provides some suggestions for Counterspell Families for what spells can counter others. The adventure also details a timeline of events and duels, as well as a separate appendix of awesome Kovacs art of the other wizard contenders and their retainers. This adventure combines some of my favorite of Harley’s adventure mechanics: somewhat of a sandbox non-linear feel like Fate’s Fell Hand, and some time restrictions/pressure like Bride of the Black Manse. The time restrictions aren’t as literal as in Bride, but it does give the Judge a solid timeline of events to keep the adventure moving if their is a lull in the action. Like most 5th level DCC adventures, this one would require significant preparation on the part of the Judge, and would not likely work well for a typical convention slot. This easily has at least two sessions if not three of material. One of the best features of the adventure is the centerfold map of the island. It shows the different towers of the wizard combatants and other areas of interest, but doesn’t provide any spoilers so should definitely be shared with the players to give them a sense of the environs. The wizard combats have awesome portraits that you will likely want to copy and print out like I did for Intrigue at the Court of Chaos. Having these awesome visuals really brings this adventure to life! For fans of “The Band” in its many forms, this adventure shows the all-lady band meeting Hugh’s band on the island, reuniting them! The last two pages shows both bands, with the ladies getting a colorful cosmic background, while the actual band members remain in black and white (besides color kitten knees, and everyone loves color kitten knees). Even if you’re not a DCC superfan or an adventure collector like myself, this is one to own. Highly recommended! 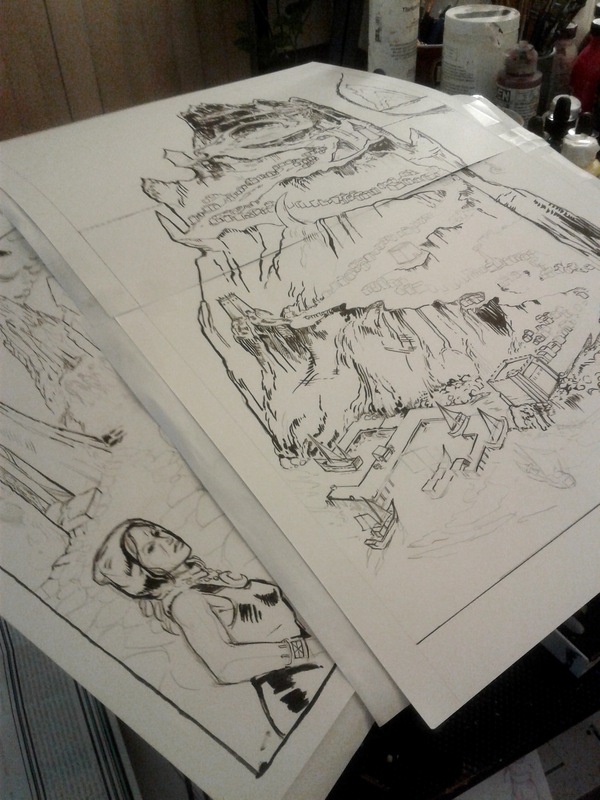 The centerfold map in progress, along with the meeting of the bands underneath! 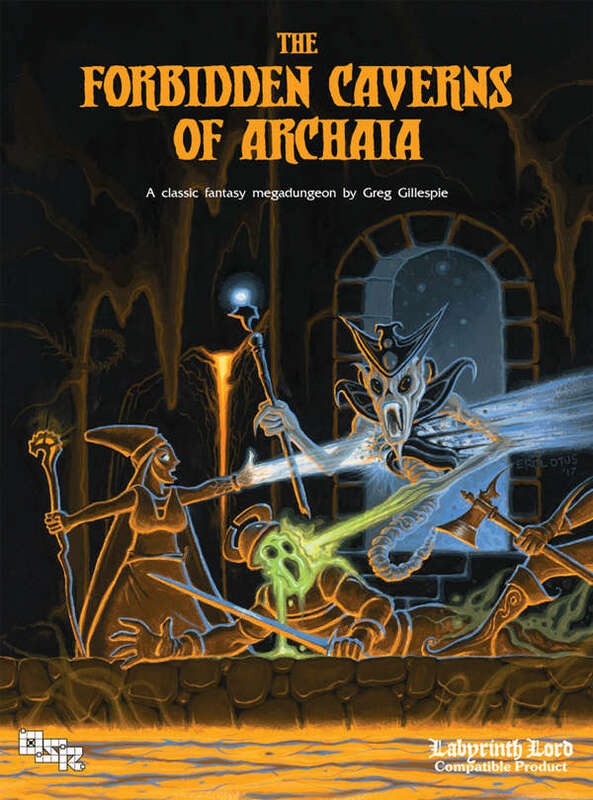 The latest megadungeon from Dr. Greg Gillespie has been released in PDF: The Forbidden Caverns of Archaia. Greg is known for previous indiegogo campaigns for the megadungeon Barrowmaze, which eventually resulted in a 260-page tome called Barrowmaze Complete. 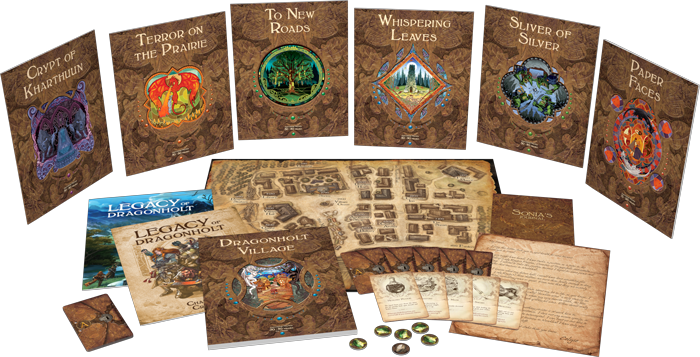 This latest kickstarter featured a lot of similar elements from Barrowmaze and for that matter, classic adventures like Keep on the Borderlands and Temple of Elemental Evil. This review is not going to be entirely spoiler-free, but I’ll try and keep them to a minimum. This latest megadungeon certainly has enough material for years of play and weighs in at 293 pages. Similar to the aforementioned adventures, your PCs start in a well-detailed fair sized village, and are in a sandbox hex-map region called the Prelacy of Middenmark. Like the Duchy of Aerik from Barrowmaze or Verbobonc in Temple of Elemental Evil, there are several features and settlements to explore in the nearby area other than the megadungeon focus of the adventure itself. While Barrowmaze was focused on a series of underground crypts linked in one massive dungeon, the Forbidden Caverns of the Archaia is mostly a series of caves and tombs in canyon walls that get increasingly difficult the deeper you go in to the canyon. “Oh, so like and the Caves of Chaos?” Yes, but way more than could fit on a two-page map. Also, malevolent forces are uniting disparate tribes of humanoids in a bid to summon a terrible evil and conquer the world. “So, pretty much Temple of Elemental Evil?” Well, yes, but this outlines the hierarchy and provides heraldry for all the groups as well as attitudes between different sects allowing crafty players to turn evil on itself. Furthermore there are keystaffs that need to be assembled from several parts to utilize hengegates to allow the party to quickly get to different areas. “Now you’re just talking about the Rod of Seven Parts.” Keystaffs are actually way cooler, and have different powers based on the different parts used to assemble them, and parts can be interchanged. There are runes, rings, headpieces and a worksheet for players to keep track of their experimentation. It is an awesome part of navigating the adventure. Finally, at the end of the canyon there is a hellmouth that leads into the base of a volcano! This leads to another huge section of delving that can provide a ton of information on the fate of the Archaians. This leads to the actual end game of the adventure, which I won’t go into the details of here, but it is appropriately epic. With a very prepared and motivated GM, this would be a fantastically satisfying ride. You can see the fingerprints of some of the greatest adventures of all time in this work, but Greg expands and expounds on them in way that keeps them fresh, yet familiar. 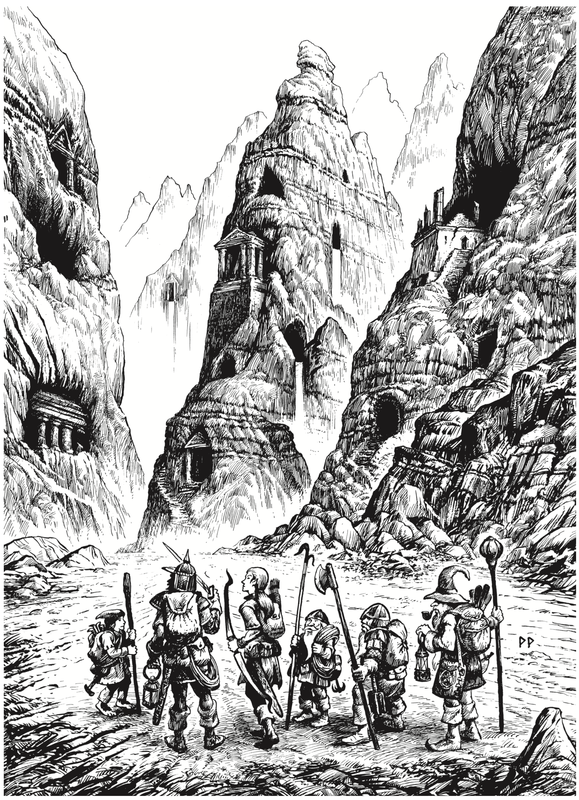 Recently there was a discussion on the DCC RPG Rocks! facebook group about the opening language for Dungeon Crawl Classics modules that may need an update. DCC modules have evolved beyond what many would consider “classic” and have started delving into the more weird and less traveled paths of Appendix N inspiration. The Forbidden Caverns of Archaia stays more within what many consider classic tropes of dungeons and dragons. Yet compared side by side, this work really represents an excellent evolution of the old school for those looking to remember and honor the classics, without just replaying them. The art features several of the same artists from DCC book like Stefan Poag, Russ Nicholson and Jim Holloway, as well as several that have a similar style like Cory Hamel, Peter Pagano, Carl McIntyre and more. Some of these same artists have work in Barrowmaze which is what originally drew me to the book at the Goodman Games booth at North Texas RPG Con in 2016. 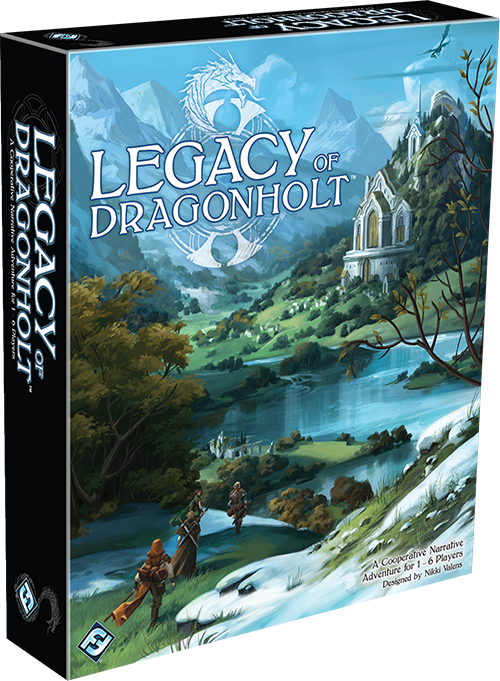 Overall, I would highly recommend this megadungeon if you are looking for a big campaign with a lot of old school feel, but something that will keep even the hardiest grognard guessing. Neon Knights, Dungeon Crawl Classics #94 was released at Gen Con 50. This adventure is pretty difficult to discuss without some major spoilers, so if you don’t plan on judging this one, I would suggest not reading any further. For those judges who remain: Brendan LaSalle has created an excellent 3rd level adventure that works well as a one-shot con game, or as a bridge from a typical core DCC fantasy world to the Purple Planet for an existing campaign. It could fairly easily be adapted to be a bridge from Lankhmar or any other world to the Purple Planet as well. The Purple Planet boxed-set is not required in any way to run this adventure, but for those who own it, there is a sidebar that provides suggestions on how to incorporate those materials if the PCs remain on the planet. Brendan outlines a clear four part plot that experienced judges could time well for a convention slot. It isn’t exactly a sandbox, but isn’t a typical dungeon crawl either. This allows the judge to allow PCs to explore, or move on to the next plot point as time allows. 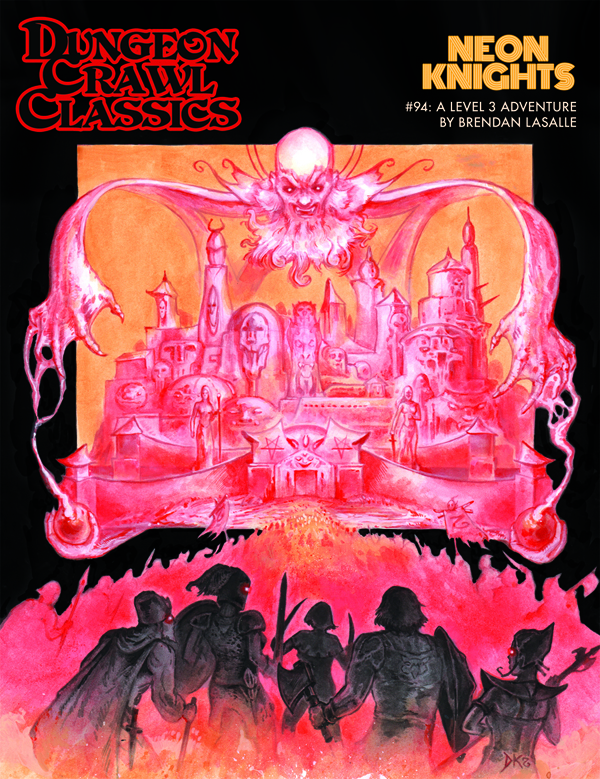 The PCs are charged with figuring out a strategy to break a siege surrounding the city they are in (specifics for a city are suggested at the back, but details in the beginning are left intentionally vague so judges can adapt to the city in an existing campaign) when they are whisked away to a mysterious tower and commanded to defend an old wizard from creatures attacking his tower. PCs notice pink trails as they move and their eyes glow with a pink neon light that remains visible only to each other once they return to their home plane. It is up to the PCs to discover how these events are related and discover a way to end the siege. The ending of this adventure can go a lot of different ways depending on how the party handles the wizard, the artifact used to summon them, and what they do with knowledge discovered in the wizard’s tower in the sea of dust. This is a great adventure for experienced judges that are used to rolling with what the players come up with, and improvising based on those choices. Vazhalo’s tower is an interesting locale that would make the most traditional type of dungeon exploration portion of the adventure. Once the PCs are back in their home city, a few NPCs are detailed that will help the party research both the artifact and experience of being summoned by this far off wizard, allowing characters to role-play with these NPCs and perhaps form a plan should they be whisked away again. This provides a great balance between different play styles, and attempts to account for most possible solutions for the end. I imagine when I get a chance to run this, the PCs will come up with something entirely unexpected. That is all part of the fun! There are extensive details provided about the artifact itself, and its use in summoning heroes. Appropriately, one of the features in this adventure is a massive gong, which played a prominent role in the Gen Con 50 DCC tournament. 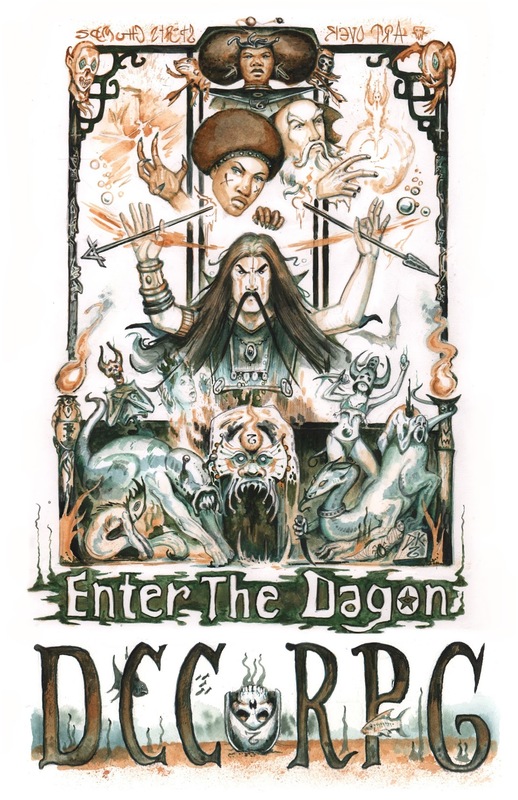 Overall, if you are new to judging DCC, or aren’t comfortable with something that diverges from a more traditional dungeon crawl like Sailors on the Starless Sea, Portal under the Stars or Doom of the Savage Kings this may not be the one for you. However, if you’ve embraced the chaos and amazing potential this system brings, this adventure may serve as a very memorable convention game, or the gateway to the incredible adventures that await the party on the Purple Planet!